miniOrange provides a ready to use solution for Fortinet VPN Client Platform. 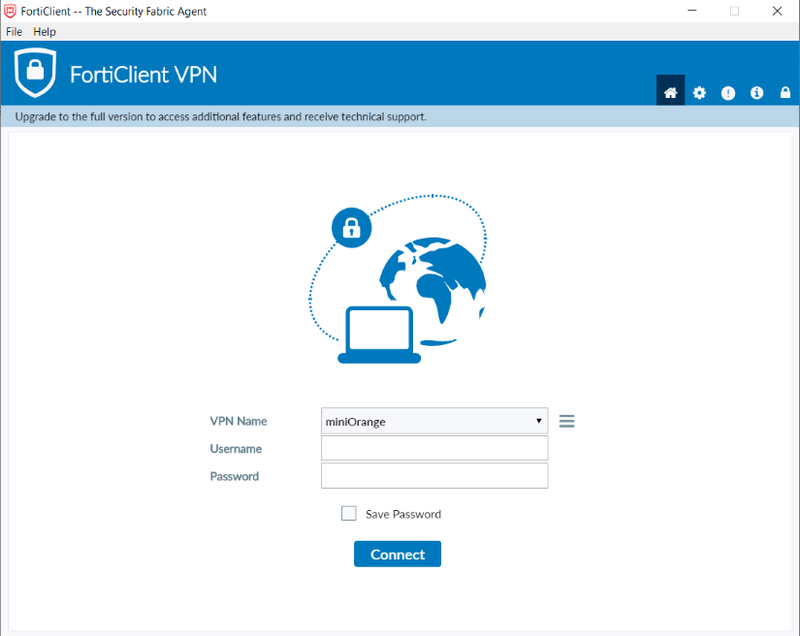 This solution ensures that you are ready to roll out secure access to Fortinet VPN Client to your employees within minutes. Fortinet provide physical and virtualized security designs and appliance for important data and critical workload. You can enable two-factor authentication (2FA) for your Fortinet managed active directory to increase security level. When you enable 2FA, your users enter their username and password (first factor) as usual, and they have to enter an authentication code (the second factor) which will share on your virtual or hardware 2FA solution. To enable 2FA you can enable RADIUS authentication in Fortinet and configure policies in miniOrange to enable or disable 2FA for users. Login into the Admin Dashboard.. In Step 1 Select “OpenVPN” in Application section. In Step 2 Select “DEFAULT” in Group Name and enter Policy name as “OpenVPN” add policy then Select First factor as “PASSWORD”. Click on Test Configuration to check whether your LDAP configuration details are right and LDAP server is reachable. It will ask for test username & password from LDAP directory. Click on User & Device >> Authentication >> RADIUS Servers. Click on Create New. Click on “User & Device” >> User >> User Groups. To create new group : Click on Create New. (In case if you have an existing user group then click on that user group and edit its settings). After section your user group, enter Name as miniOrange SSL VPN and Type as Firewall. Click on Create New in the Remote groups section and select the miniOrange RADIUS remote server. Connect to the appliance CLI. Login to Fortinet and enter Username and password.